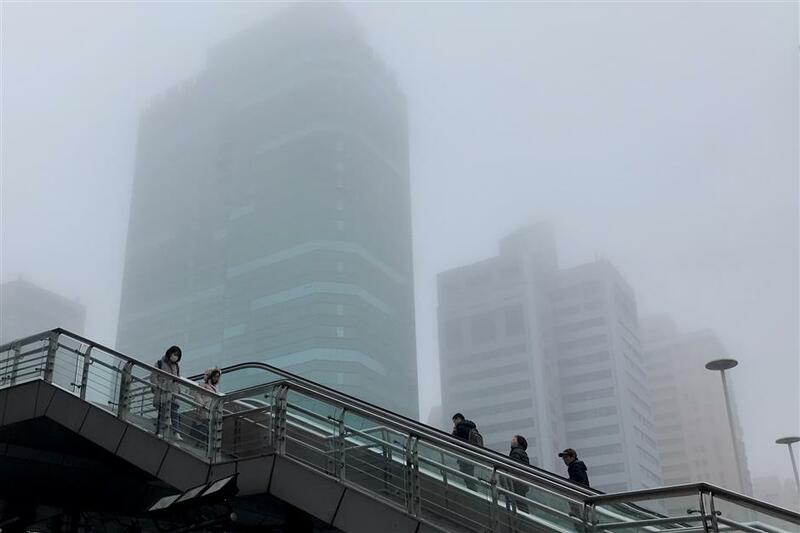 An alert for fog was upgraded from yellow to orange, the second-highest level in the four-tier system, at 5:46am Tuesday by the Shanghai weather bureau. 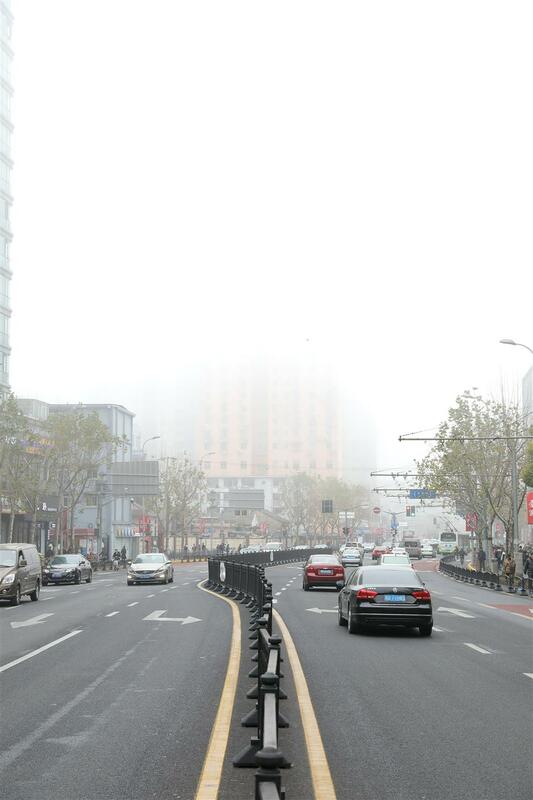 Dense fog blankets Shanghai Tuesday morning. People walk on an overpass as heavy fog blankets the city Tuesday morning. 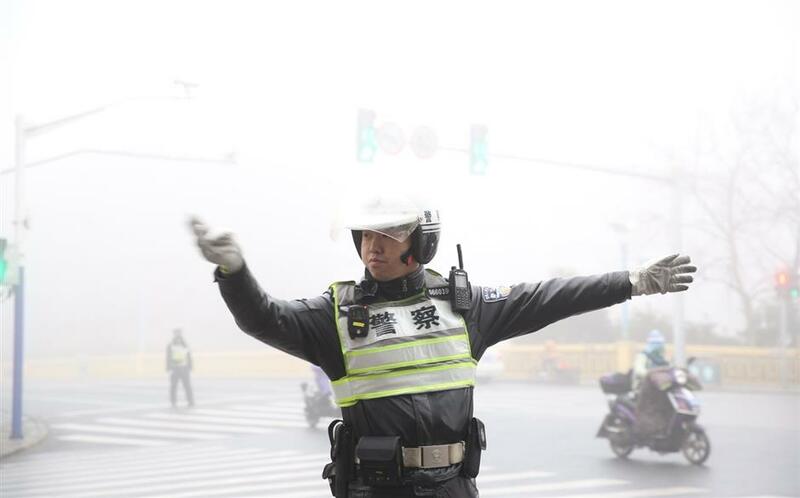 A policeman directs traffic Tuesday morning in Shanghai. The city's fog alert was upgraded from yellow to orange, the second-highest level, at 5:46am Tuesday by the Shanghai weather bureau. 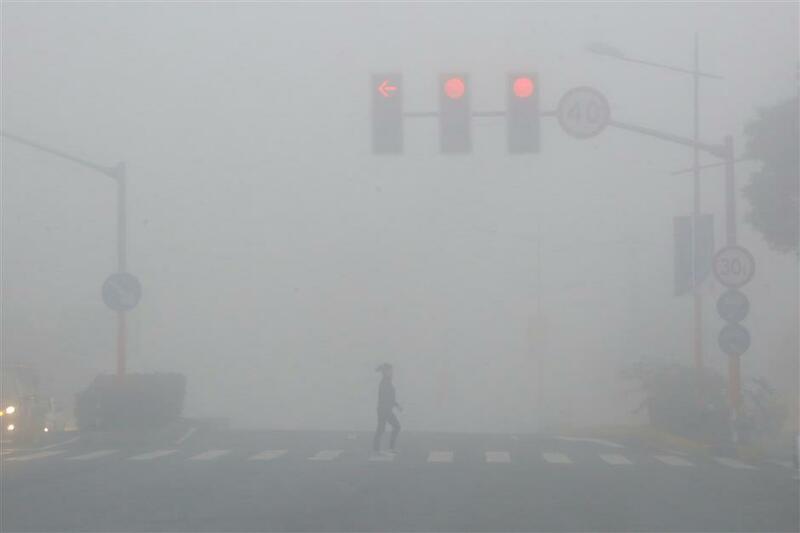 Dense fog is blanketing areas in Songjiang, Minhang, Jinshan, Fengxian, Pudong and Chongming, where visibility is less than 200 meters. The fog will be slow to dissipate due to high humidity, the weatherman said, with drizzle forecast for the evening. The thick fog has led to a number of measures being taken to ensure public safety. Speed limits were imposed on expressways, the road administrator said. Forty percent more traffic police officers were deployed to direct traffic, local police said. An emergency lane was also opened on Xupu Bridge for moped and bike riders to pass the Huangpu River. Meanwhile, all ferry services across the Huangpu River have been shut down. About 50 flights were canceled and nearly 100 delayed at Shanghai’s Pudong and Hongqiao airports this morning due to the heavy fog shrouding the city. Another 50 flights at both airports were diverted to other airports. As of 11:30am, Hongqiao International Airport has canceled 30 flights amidst low visibility. Thirty-three flights that were scheduled to land at Hongqiao were diverted to airports in neighboring cities which were less affected by the fog, the Shanghai Airport Authority said. Hongqiao airport also received four diverted flights which were originally set to land at the Pudong airport, where fog was even heavier this morning. Pudong airport has canceled 18 flights while another six have been delayed for over two hours. Twenty-four flights scheduled to land at the airport were diverted to other nearby airports. “Takeoffs and landings are being restored at both airports as the visibility gradually increases,” the airport authority said in a statement. Passengers were suggested to remain patient because it would take a while for the airports to fully restore their normal operations. Heavy fog shrouds Shanghai Tuesday morning. 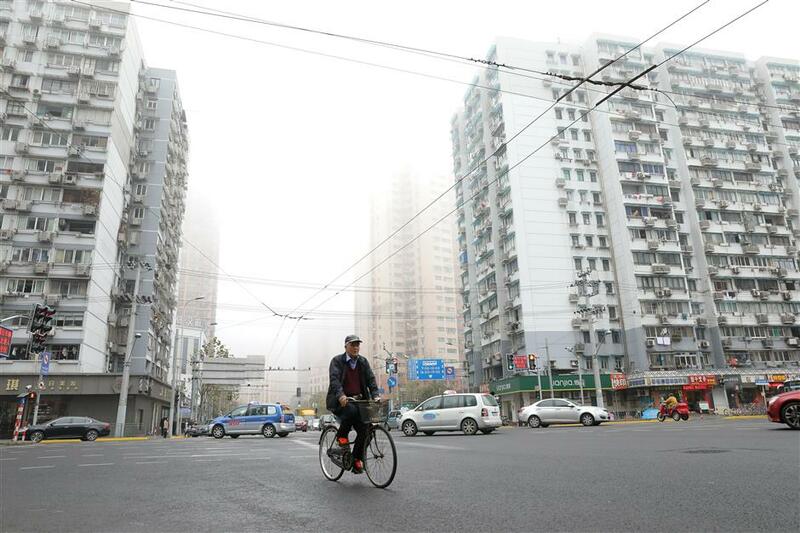 A man rides a bike as buildings are obscured by the fog in Shanghai Tuesday morning.